Possibly ex. Tony Gard. 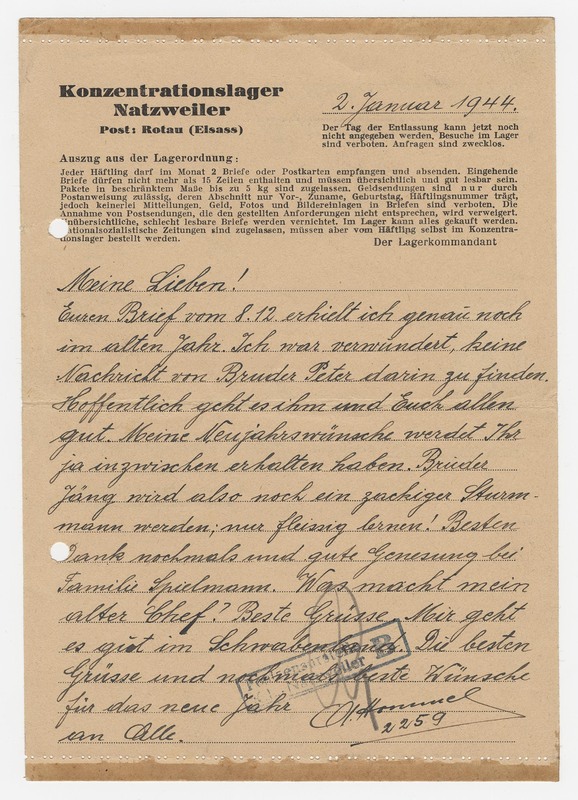 Lordahl sale 10 no.39. 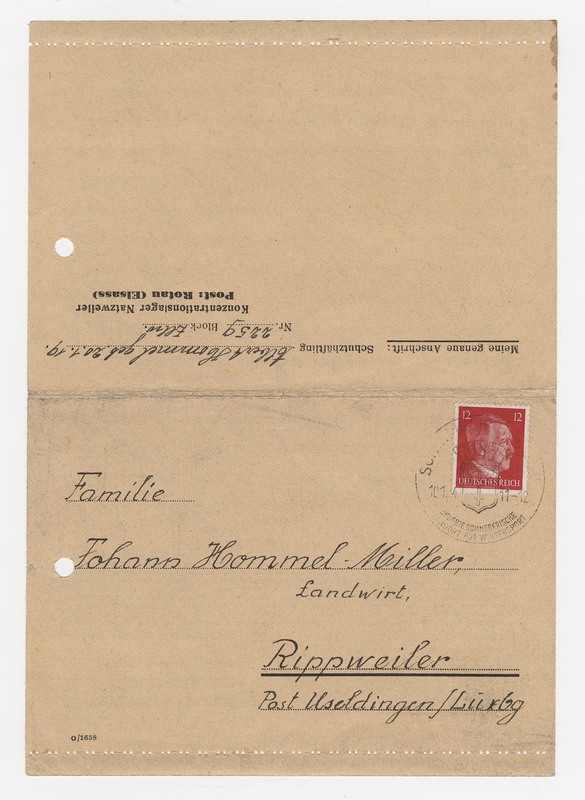 Only two other pieces of correspondence from subcamp Ellwangen, both from Hommel, are reported by Lordahl. L2. June 1943 – February 44. Rarety 6.